For most people, buying and selling their home is the most expensive transaction that they will ever engage in. While not as common as utilizing a real estate agent to market and sell a home, some people choose to sell their home “For Sale by Owner” (FSBO). The reasons for selling FSBO vary – maybe the seller has a family friend that is interested in their home and does not need to market the property; maybe the seller was able to find a buyer using an internet home sale site; or maybe the seller has an entrepreneurial spirit and just wants to save on commission and transaction costs. 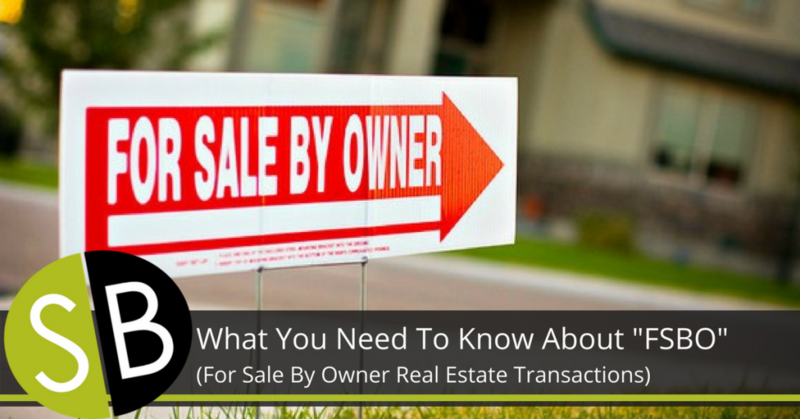 Starting the process of selling FSBO can be as easy as putting a “For Sale by Owner” sign in your front yard. However, real estate sales involve much more than marketing your home and finding a buyer. Once a seller finds a buyer that would like to “make an offer,” many legal issues can arise, including negotiation of the terms of the purchase and sale (e.g. the purchase price, closing date, contingencies, etc. ), in addition to mandatory disclosures, regulations, and written documents. If a seller does not seek legal advice from an experienced real estate attorney, the legal consequences from mistakes, omissions, or missed deadlines during the home sale process can cause major headaches – not to mention potential liability. Having an experienced real estate attorney involved very early in the home sale process ensures that the seller is complying with Wisconsin law every step of the way. Once a seller receives an offer, an attorney can review the proposed purchase agreement received from the potential buyer (commonly called an “Offer to Purchase”), can assist in negotiating the terms, and can draft counter-offers (if necessary) to ensure the seller’s interests are protected. In addition, if no real estate agents will be involved, an experienced real estate attorney can also draft the Offer to Purchase as a courtesy to the buyer. After a potential buyer has expressed interest in buying your home, what is the next step? First, all real estate transactions in Wisconsin must be in writing. This means that you cannot have a legally binding verbal real estate purchase and sale in Wisconsin. Sale of buyer’s home contingency – (i.e. if the Buyer does not sell their current home by a certain date, the buyer can walk away without breaching the contract). Depending on the location of the property, the Offer to Purchase might also include other contingencies, such as a septic inspection, a well water test, a well inspection, and/or a land survey. Once the buyer and seller have signed the negotiated Offer to Purchase, there is usually some downtime while the Buyer is obtaining financing, selling their current home, having various inspections and tests performed, the lender is having an appraisal performed, and title insurance is being obtained. A quick note on title insurance – a title insurance commitment is an important and complex legal document that sets forth various issues affecting the property such as mortgages, liens, easements, and other restrictions, among other potential buyer pitfalls. There is a misconception that simply receiving a title insurance commitment before the closing by itself means that the buyer is getting “clean title.” That is often not the case. A real estate attorney can review the title insurance commitment to be sure the title presents no problems before closing. When all contingencies have been met, and the buyer’s funds are ready, a closing date is set. At the closing, the buyer and seller sign numerous, complex legal documents. Having an attorney review and explain the closing documents and answer questions before closing is important and worth the effort. Attorneys often spot potential problems that can be addressed before the closing, avoiding any delays in the timing of the closing. In addition, the attorney can assist with unanticipated problems that can arise at the closing table to make sure the buyer walks away from closing with the property, the seller walks away with proceeds, and everyone is happy. Buying or selling a home For Sale By Owner is nothing to be afraid of. However, if you have decided to go FSBO, it is crucial to work with a trusted and competent real estate attorney to make sure everything goes smoothly from start to finish. At Steimle Birschbach, we provide timely, detailed, and experienced representation in residential, commercial, and agricultural real estate transactions. We guide our client (buyer or seller) throughout all aspects of a transaction to ensure their goals are attained. I want to sell my home – how can Steimle Birschbach help? Advise the seller if seller intends to sell on a land contract or via other seller financing methods. I want to buy a home – how can Steimle Birschbach help? Represent buyer at the closing. Straight talk. Solid advice. That’s our way of doing business. Confidentiality and Non-Disclosure Agreements: What’s the Point? Who should I choose as guardian for my children? Visit us on Facebook and Linkedin!